Commercial Bank Ceylon PLC Job Circular & Apply Process Online has been published. Latest Bank Job circurlar of Commercial Bank Ceylon PLC Sri Lanka. Also found my site http://AllExamResultBD.com. The Bank Jobs is the very attractive job offer of Commercial Bank of Ceylon PLC. Trainee Executive Job circular application deadline are 31st December, 2016. 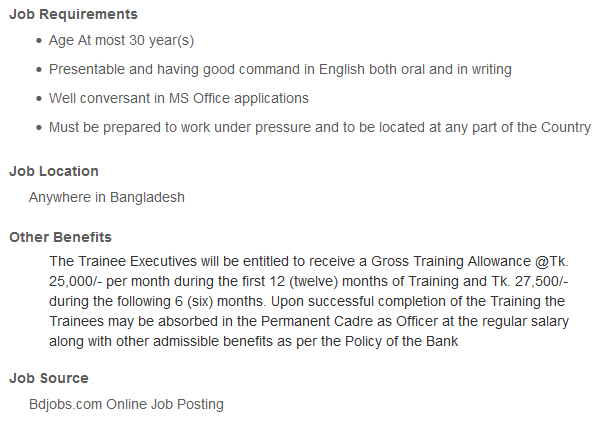 Interested candidates of this job vacancy Trainee Executive apply now by email career@combankbd.com or BDJobs.Com website. Commercial Bank of Ceylon PLC is the one of the largest private bank in Sri Lanka and the only Sri Lankan Bank amongst the Top 1000 Banks of the world for five successive years in Bangladesh. 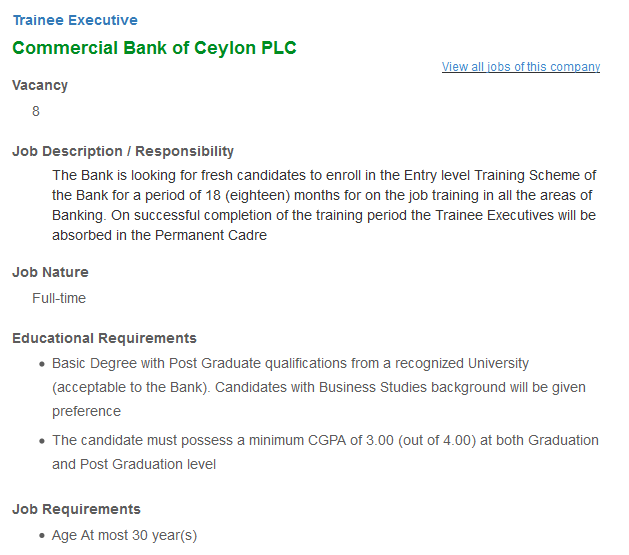 Commercial Bank of Ceylon PLC are invited this job position Trainee Executive. ■ Job Title: Trainee Executive. ■ Job Description: This job position is Trainee Executive. Applicant must be talented of this position. Trainee Executive should demonstrate very good analytical skills with the ability to make presentations both within and outside the Bank. Commercial Bank Ceylon PLC Sri Lanka is an equal opportunity employer and offers the remuneration and benefits that commensurate to the best in the industry and provides an excellent working environment where both individual drive and team efforts are significantly valued. So you can apply this job position Trainee Executive not later than December 31, 2016. Only the short listed candidates will be called for the Written Exam Test. Canvassing in any form will be considered as a disqualification in this position job circular.